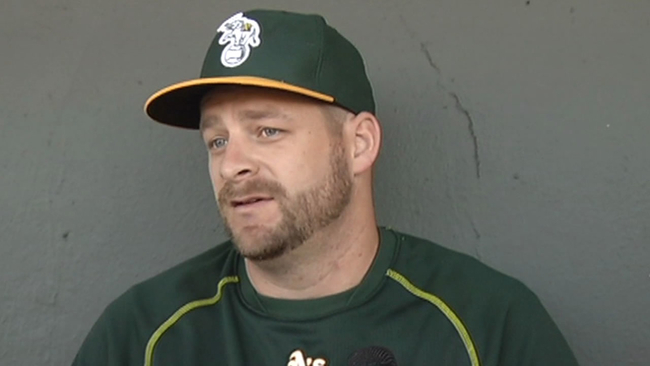 The Giants are in agreement with catcher Stephen Vogt on a minor league contract, reports Janie McCauley of the Associated Press (via Twitter). She notes that he’s yet to begin throwing from a crouch following shoulder surgery last year. Alex Pavlovic of NBC Sports Bay Area tweets that Vogt is expected to be in MLB camp but adds that Vogt has yet to take his physical. While the timing is sheerly coincidental, it’s nevertheless a bit odd that the news of Vogt landing in San Francisco comes on the heels of the Athletics’ announcement of a minor league deal with veteran backstop Nick Hundley. Vogt was a wildly popular catcher across the bay with the A’s a few years back, while Hundley had become something of a fan favorite among Giants fans from 2017-18. The two will now suit up on opposite sides of the bay, both hoping to ultimately secure roster spots with their new organizations, although it’s not fully clear exactly when Vogt might be full-go for baseball activities just yet. Vogt, who turned 34 this offseason, didn’t play in 2018 due to the aforementioned shoulder procedure — one he feared at the time to be a career-ender. That, it seems, is not the case for the affable veteran, who is a known commodity to Giants president of baseball operations Farhan Zaidi dating back to the pair’s days together in Oakland, where Zaidi was an assistant general manager at one point. The Giants are currently navigating some uncertainty surrounding their own veteran catcher, as Buster Posey is on the mend from hip surgery, leaving Aramis Garcia as the only fully healthy catcher on the 40-man roster. Vogt will have company in MLB camp, though, as the Giants have also previously added veterans Rene Rivera and Cameron Rupp on minor league contracts of their own this winter.